Mary A. Giacopelli, age 85, of Geneva, passed away Thursday, March 28, 2019 at Season’s Hospice in Naperville with her loving family by her side. She was born October 20, 1933 in Brooklyn, New York, the daughter of Charles and Josephine (D’amore) Straggi. She was preceded in death by her parents and her devoted husband of 58 years Salvatore who passed away in 2012. Mary was one of twelve children. She moved to Chicago in 1954 when she married. Early in her career Mary worked at National Biscuit in Chicago and then the Robert Hall clothing store in Bellwood. After the family moved to Bloomingdale she worked at Hi-Cone in Itasca where she eventually retired. Mary especially loved her children, grandchildren and great grandchildren. She also loved traveling, working with people, cooking (for others), and in her spare time, became quite a master at puzzles, cards, Scrabble, and Rummikub. For almost the past 5 years she has lived at the Reserve of Geneva in a retirement community where many close friends became her second family. Mary is survived by her children Salvatore (Helena) Giacopelli of Michigan, Maria (Thomas) Tortoriello of Wheaton, and John (Karen) Giacopelli of Batavia; grandchildren Anthony, Gina, and Vincent Giacopelli, Janelle and Joe Machinya, Michelle and Giovanni Castellan, Noelle Tortoriello, and Gianna (Derek Chaudury) and Michael Giacopelli; great grandchildren Giovanni, Giuliana, Giada, and Olivia; and many dear nieces and nephews, and other relatives and friends. 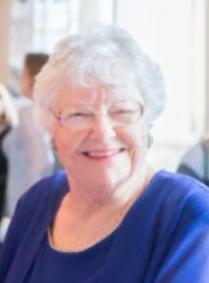 Funeral prayers for Mary will be held Monday, April 1, 2019 at 9:30 am at Malone Funeral Home, 324 E. State Street (Route 38), Geneva, proceeding to St. Peter Catholic Church, 1891 Kaneville Road, Geneva for Celebration of Funeral Mass at 10:30 am. Entombment will follow at Assumption Cemetery in Wheaton. Visitation will be held Sunday, March 31 from 2pm to 9pm at Malone Funeral Home with a prayer service at 6 pm. 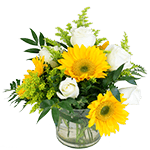 In lieu of flowers, memorials to National Hospice & Palliative Care Organization, 1731 King Street, Alexandria, Virginia 22314 would be appreciated.